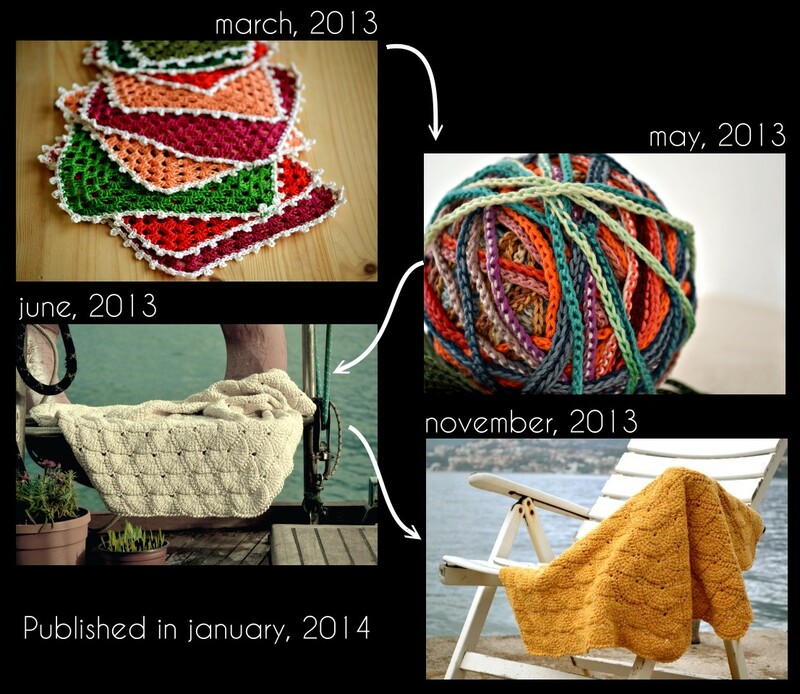 Tunisian Shell is the first Lena's pattern of 2014. 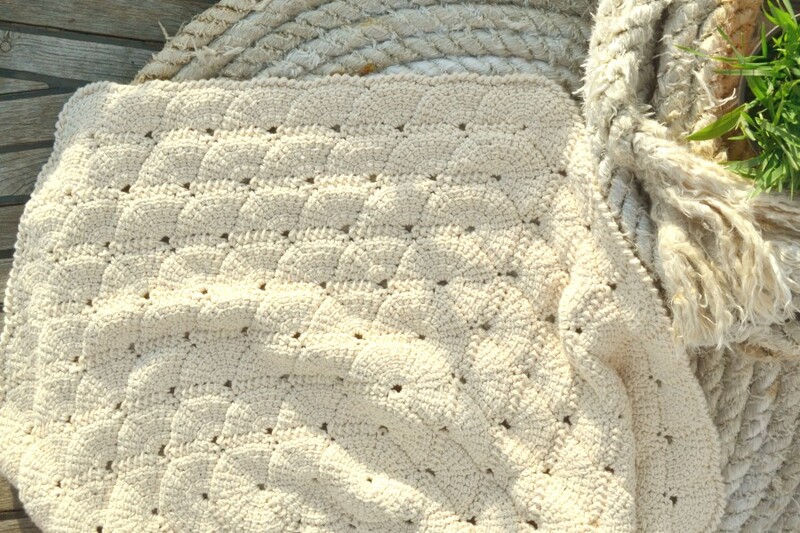 It is a hexagonal blanket, made using the Tunisian crochet technique and short rows. 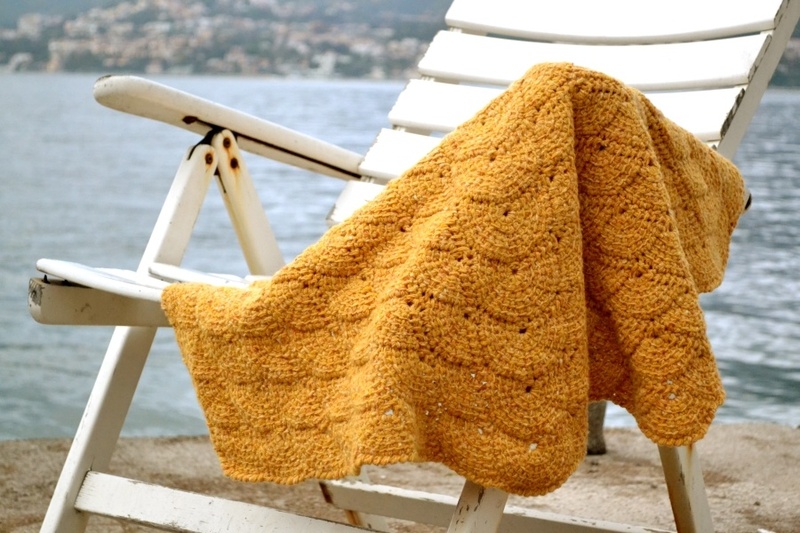 Each shell element of the blanket is small enough to place all of your stitches on a regular crochet hook. 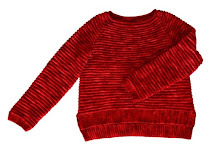 Use coupon code SHELL and get 25% off on this pattern until the end of January 12, 2014. The pattern assumes basic familiarity with Tunisian crochet, specifically how each row is worked as two separate passes and how to work the Tunisian simple stitch. You should also know how to work the crab stitch for the edging of your blanket. Some time ago, I decided to tackle my feelings towards certain techniques, because there was plenty of crochet and knitting stuff I "hated". I hated picots, crochet cords, crab stitch, reverse stockinette (mine always looks like the RS and WS rows were done by two different people) and many other things. The next one on my list was a crochet cord, which uses two separate strands at the same time. I used all of the embroidery threads I had, but that was enough. It was a lot of work and finally I got a ball of crocheted "yarn", which weighed more than 300 grams (imagine!). This awesome colorful and heavy beauty made me forget about my research and start thinking about what to make with it. First, I tried it on my needles and loved the result. I wanted to knit some more of it, something new for me, and decided to check short rows in action. I knew how to knit short rows in theory, but never tried them. The result was perfect and it encouraged me to continue. I kept trying short rows in many different ways until I finally grabbed my hook and repeated the same idea in crochet. The first blanket I made was gifted straight away and when I started to write down my design notes I realized, that I needed to crochet it again to refresh all of the steps in my head and to make a new picture tutorial. I think, a design is good when you want to make it again, so for me it is good. :) It was a pleasure to make it again and even more pleasure to see my testers' creations. What a lovely pattern and structure. Still I haven't learn to do tunesian, but I pinned this one hoping to try it out! Your shell blanket looks stunning!